Life’s a Voyage Best Traveled with Friends! Our 3rd Annual Cruise was Oct 1-13th. Two lovely groups enjoyed 11 nights of sailing to 6 ports of call. A few guests made a 5-State trek to sunny Florida for their first-ever cruise! We sailed aboard Royal Caribbean’s Majesty of the Seas and the Oasis of the Seas Ships. What did we most enjoy? Each other! Did we miss you? Don’t worry, we will post our adventures for 2018 soon! Previous Post Want to Motivate Your Employees? Deviate! 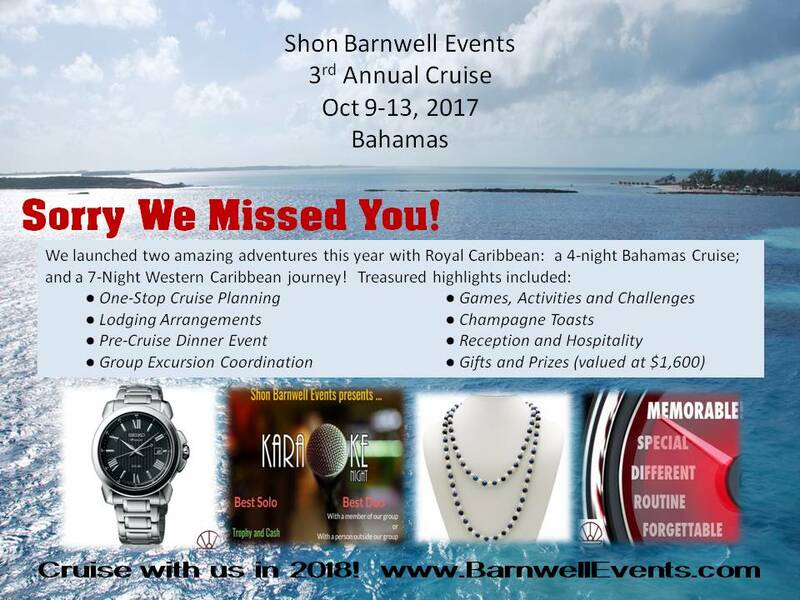 Next Post Celebrating Our 4th Annual Cruise!